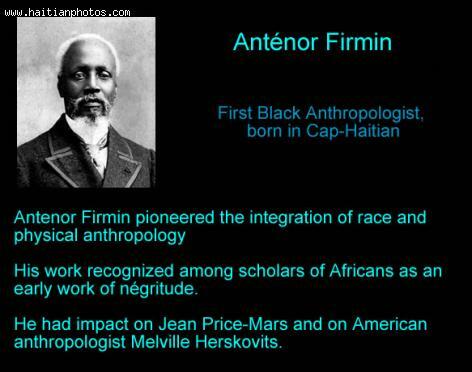 Antenor Firmin was born on October 18, 1850 in Cap-Haitian. He became a Haitian anthropologist, journalist, and politician. Antenor Firmin believes firmely in the principle that "all men are endowed with the same qualities and the same faults, regardless of color or anatomical form. For him, all races are equal.